Employees at this foreign-owned steel complex in south-eastern Ukraine are setting an example for workers everywhere. The past year has seen a wave of mobilisation inside Kryvyi Rih's mining and metal complex, particularly at the flagship foreign ArcelorMittal plant, one of the largest metal plants in the world. After weeks of negotiations, workers officially announced a labour dispute in late March. 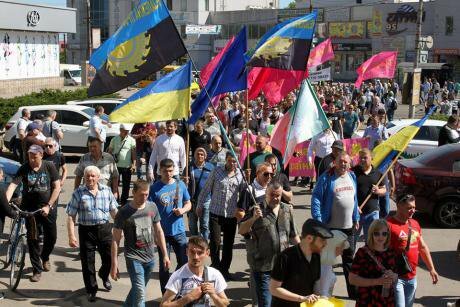 Then, on 14 May, railway workers in Kremenchuk started a work-to-rule action over conditions and pay, which was then taken up in soldidarity by railway workers at AMKR on 16 May. This solidarity action catalysed an existing dispute over pay at AMKR. AMKR plant management announced that it was shutting operations on 17 May. This article, originally published in Ukrainian left-wing journal Commons, is the first attempt to analyse what is happening at AMKR in both the long-term and short-term perspective. With the author's permission, we publish a translated and shortened version here.
. For Kryvbas — and Ukraine in general — the post-Maidan years have been incredibly difficult. The war has broken production and trade networks, sending some workers to the front, and others - in search of work. In 2014, Ukraine’s national currency declined in value on three occasions, though price fluctuations on the external markets have been far more modest. This has created a “paradox” which is perfectly logical for capitalist relations: if prices for Ukrainian metals have already managed to rise again since the 2015 collapse, then real wages have remained lower than their pre-war level. 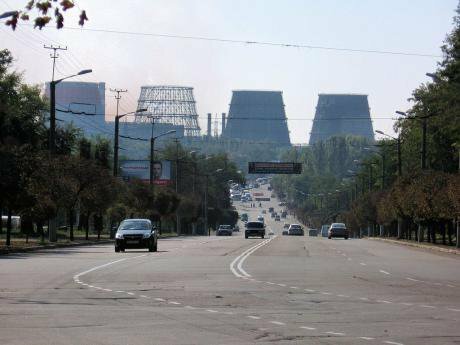 In 2013, the average wage at the country’s biggest metallurgical plant ArcelorMittal-Kryvyi Rih (AMKR) was 5,808 hryvnia (€534), then in 2017 it was 10,278 hryvnia (€306).
. 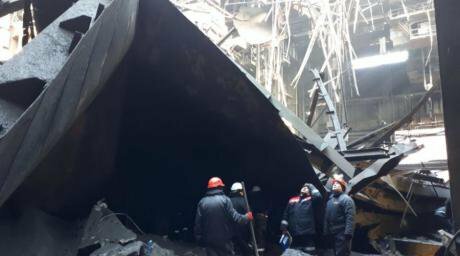 The Ukrainian government hasn’t only distanced itself from this problem, but is acting in favour of capital, deregulating work safety procedures and reducing the powers of its own oversight agencies. 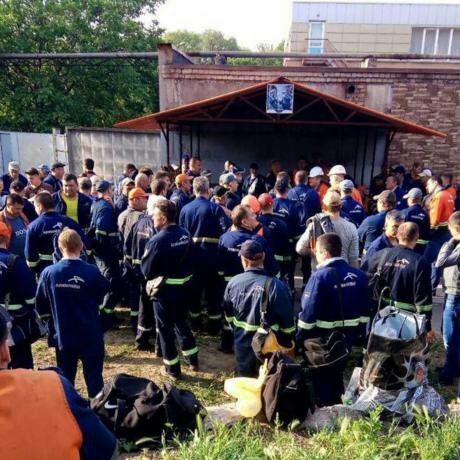 Thus, in 2016, a State Labour Service commission found dozens of violations at AMKR, but in January 2018 a court rejected the demand to temporarily stop work at the plant (a stop costs Kryvyi Rih factories and mines close to $7.5m per day). Workers at AMKR have thus had to resort to more decisive measures. There are 10 unions operating at the plant, and the largest of them is the Union of Metalworkers and Miners of Ukraine (PMGU), which is part of the Federation of Trade Unions of Ukraine (FPU). PMGU can be considered a so-called “yellow” trade union — an official institution with its roots in the Soviet era, and which mostly avoids conflicts with owners and concentrates on distributing bonuses, sanatorium trips and gifts on public holidays to its members. AMKR management publishes a "message" from Alexander Vilkul, Kryvyi Rih parliamentary deputy and co-chairman of Opposition Bloc. Here, in this fabricated advert, Vilkul calls on workers to support Serhiy Kaplin in the coming elections and attend a parallel workers' conference on 27 March 2018. Source: Social Movement. The situation at AMKR — accidents that end in fatalities, the management’s sabotage of the 2017 wage agreement and dismissive attitude to worker activists — has convinced both the independent unions and even PMGU of the need for decisive action. On 14 March this year, they held a public rally outside the factory management’s office, where they raised the following demands to the owner and general director: raise the average wage to €1,000, create safe working conditions, stop job cuts and outsourcing, and stop pressuring labour organisations. Over several days, 12,000 employees signed this petition — nearly half of the factory’s personnel. 27 March 2018: an employee conference at AMKR. Source: Maksym Kazakov. 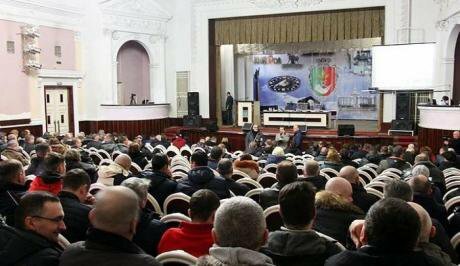 Despite these barriers, the employee conference was held on 27 March, and 300 delegates from all the factory’s shops voted for the demands made at the rally. In their official response, the administration completely ignored the unions’ claims against them, and thus the employees’ authorised representatives voted to start a labour dispute. According to Ukrainian legislation, this means that employees and employer should try to come to an understanding via a reconciliation commission and with the assistance of the National Service of Mediation and Reconciliation — and if where reconciliation is not achieved, then there is the opportunity to start a legal strike. "1,000 Euros instead of 1,000 words". 1 May 2018 in Kryvyi Rih. CC Vector Media. Some rights reserved.Meanwhile, two dozen members of left-wing organisations Social Movement and Direct Action, as well as anarchist organisations joined the May Day events. In their speeches, these left-wing activists drew attention to AMKR’s involvement in offshore schemes and international solidarity for organised labour, which helps achieve results in concrete conflicts. NPGU and other trade union members at 1 May action. Source: Social Movement. Another Svoboda member’s speech underlined the far-right’s vision of proletarian struggle: it should be waged in support of a “Ukrainian worker’s state” led by the “best” — i.e. Svoboda members and their totalitarian integral nationalism. 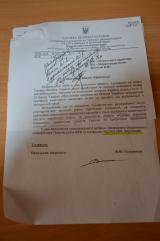 An April 2018 letter from Ukraine's State Security Service (SBU) demanding that mine managers in the Donetsk region keep the SBU informed of independent trade union activity and "destabilising elements". At this point, the state decided to get involved — after all, it is led by big capital and is concerned with its problems. 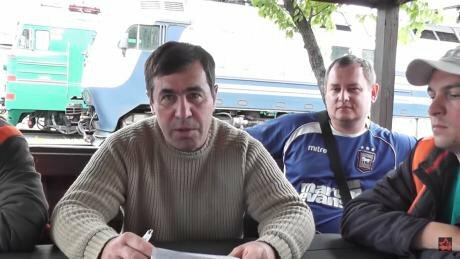 Serhiy Moskalets, Free Union of Railway Workers of Ukraine, announces a work-to-rule action at Kremenchuk rail depot on 14 May 2018. Source: Nabat TV.On 18 May, the AMKR administration made their move, deploying strikebreakers with the help of the state. Locomotives from Ukrainian Railways began working again at the factory; militarised security was brought onto the site. When millions of dollars are under threat, workers find themselves looking down the barrel of a gun. 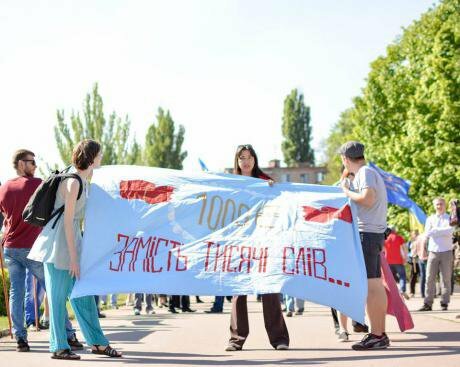 Kryvyi Rih residents are trying to remind these people — who are serving the interests of others — about the unity of class interest.